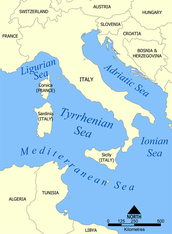 The Tyrrhenian Sea is that part of the Mediterranean sea that extends west of the Italian peninsula. It is bouded to the west by Corsica and Sardinia, to the east by the Italian peninsula and to the South by Sicily. The maximum depth of this sea is 3785 m (in a pit near the island of Ponza), while the area occupied by it, is 275,000 mq. Temperatures: the maximum temperature in summer is 30° C while the minimum in winter is 14° C.
In the South part of the sea there is the Tuscan archipelago which includes many islands such as Elba, Giglio, Montecristo, Giannutri. 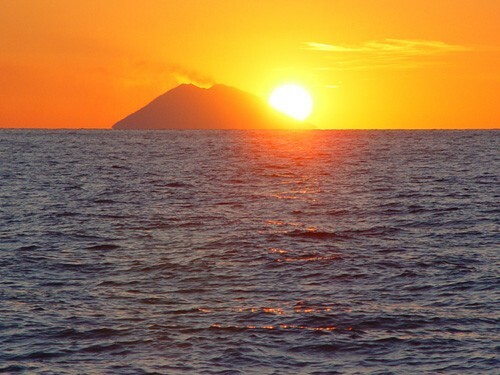 In the Central part of the sea there's the Pontine archipelago to which belong for instance Ventotene, Ponza, Zannone. While islands such as Stromboli or Lipari, are part of the Aeolian Islands. Finally, there is another sicilian archipelago which is located to the west of Trapani, that is the Egadi's one. In conclusion I'd also appoint 4 important islands that do not belong to any archipelago; these are Capri, Procida, Ischia and Ustica. 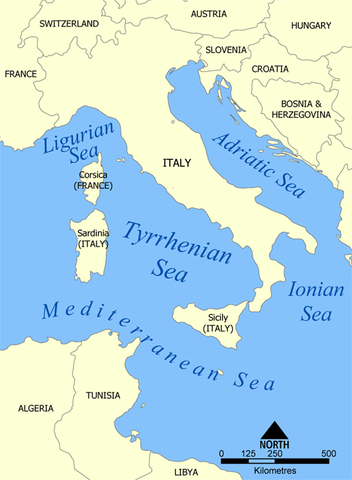 In the Tyrrhenian sea there are quite a lot of undersea volcanoes and many of them are active. The biggest one is the Marsili. This one is also the largest in Europe. The seamount is 3000 m tall and its peak and crater are about 450 m below the sea surface. It is located between Sicily and Calabria. 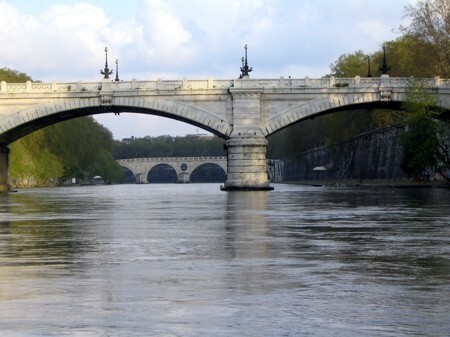 Actually, there aren't very important rivers, but anyway those ones are the main tributaries: Ombrone, Tiber, Garigliano and Volturno. The minerals we find the most in this area are calcite, dolomite and gypsus. Deep in the sea there are also coral formations.